Maxi Free CV Joint Lube is a deep penetrating teflon lubricant that works flawlessly in all conditions both on and off road. Unlike other wet lubricants, Maxi Free goes on wet and setup with a supper dry, hard and extremely durable thin film that wicks away dirt, carpet hair or tyre rubber during the races. Maxi Free is the answer for racers who looking for a super clean, long lasting and low friction CV joints and universals. Shake well before use. Apply on clean joints to maximise the performance of the lube. Corner Speed RC MAX-REV high speed bearing oil is a low viscosity thin lubricant that designed to last. Has been carefully formulated and tested to maximise the efficiency of the lube in the toughest conditions. It contents a very special addition that help the lube working consistency in extremely high speed rotation bearings and circulating parts. 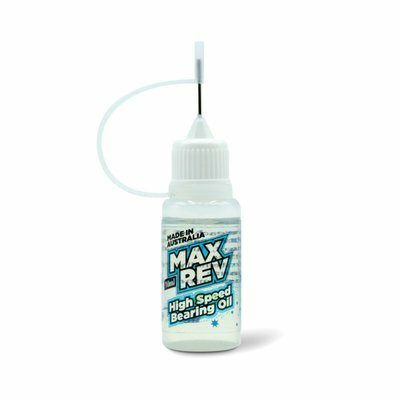 MAX REV is the choice of all serious racers who looking for some extra bits that help boosting their performance in serious competitions. 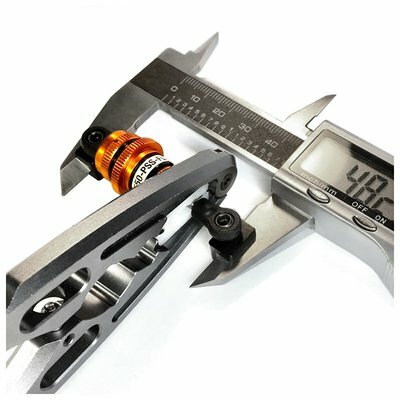 It features a 10ml needle tip bottle that make it easy to apply on any small bearings and parts. Steel to Plastic is a dry lubricant that special design for plastic to plastic and plastic to metal joints. It prevents the dirt and grit to build up inside plastic joints for long lifespan while helping them working consistently in different conditions. Steel to Plastic is ideal for both on and off-road applicants. 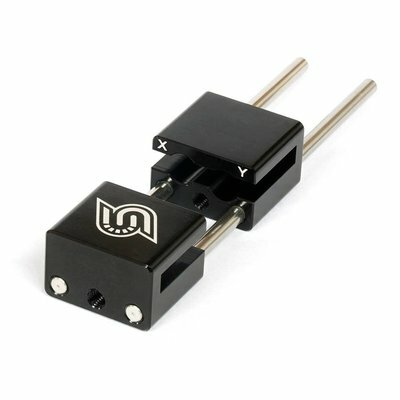 A pair of adaptor for vernier caliper to measure shock and linkage ball lengths. Made by high grade aircraft aluminium.